I constantly get people asking me for time management tips, time management strategies and how you can improve time management skills. The thing is what are they asking for exactly depends on their time management definition. What does time management mean to them? Because without understanding their time management definition I may be answering the wrong question. Time management means different things to different people. Layman’s term – the layman’s term for time management is the development of processes and tools which increase productivity. Benjamin Franklin – once said ‘time is money’ and how right he was. By this he means that the quicker the work got done, the more work could be done and therefore the more money could be made. Managing your time is speed based to save money or an investment in creating value. Frederick Winslow Taylor – in his book The Principles of Scientific Management discussed how to improve worker productivity, personal productivity. Taylorism, as it was called, is the process of breaking down one task into smaller actions after finding the most efficient way of doing said task. Task based time management definition. Peter Drucker – created a far more inclusive theory of management based on management by objectives. He focused on the importance of managing business by balancing needs and goals. Goal setting being at the core of the time management definition. Steven R. Covey – his book The 7 Habits of Highly Effective People, is one of the bestselling non-fiction books of all time, popularizing the concept of personal productivity and personal time management. After this popularization, personal time management has become closely intertwined with good time management skills. Hyrum Smith, Founder of Franklin Quest and Franklin Covey, sometimes referred to as the father of time management because of his introduction of the Franklin Planners. Hyrum Smith defines Time management as the Time Gap, a part of his 3 gaps that affect our personal time management. The Time Gap, the gap between what we plan to do each day and what we actually get done. This is influenced by the Belief Gap which is the gap in our behaviors in relation to what we want and the Values Gap which is the gap between what we value most in life and where we actually invest our time and energy. 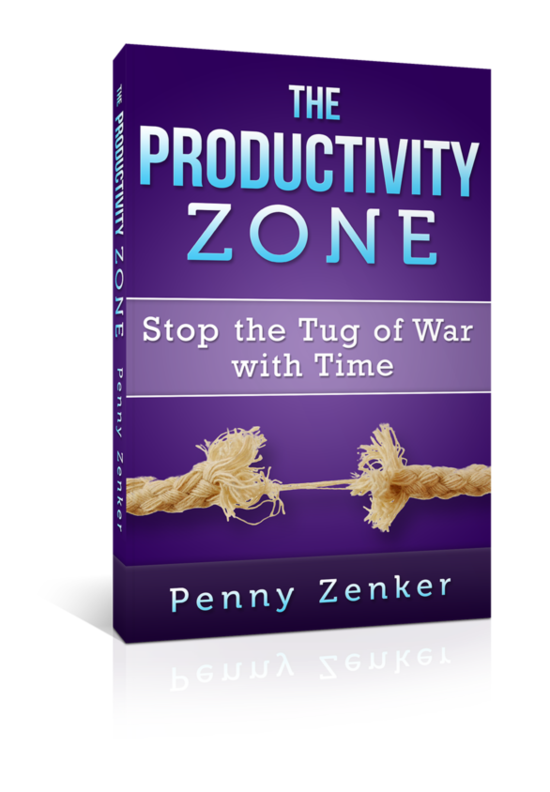 Improve your time management and personal productivity is managing the gaps. Heidi Hanna- time management is energy management. “time without energy is void of value, your energy is your most valuable resource.” The constant obsession with time, puts our brain into survival mode creating chronic stress that weakens our engagement and productivity. Good time management skills are managing your energy and how you show up for the time you have. Carla Crutsinger – In her book Thinking Smarter defined time management as the ability to set goals, prioritization, allocate time to each task and observing the results. Carla Crutsinger also highlighted the importance of being flexible with time management. Sometimes other tasks become a priority and so plans should be adjusted accordingly. Goal setting plays a part in shifting priorities and being connected to the end game. This means that you should be revisiting your task list often, in order to judge what is a priority and what isn’t. That way you will be on top of tasks when things change order based on yoyouroal setting process. Neil Shipman – Neil Shipman defines time management as a crucial set of skills such as being aware of yourself, structuring your time wisely, and most importantly – scheduling downtime to allow yourself to regenerate. Improve your time management by taking more breaks and managing white space. William E. Kelly – defined time management as skills that include list making, organizing the work and your resources and breaking down large tasks into smaller pieces. Consider your time management definition. Are you task based? Goal setting and results oriented? If you had to break it down into its specific tasks or components what would that look like to you? I’ve worked with people and coach them on growing the business across countries cultures and industries. As you can imagine good time management skills was a problem across the board. Peoples relationship with time and money have been a challenge since the beginning of time. Time is finite and when we focus on it, it will take up precious energy that can be used elsewhere. It creates stress. I had a personal example of just how much stress a focus on time can create. I was assigned to be in charge of time for an event that I was volunteering for. My job to let the group know when each next section of content was to be presented, to provide the trainer a flash card to tell them when we had 20 minutes left, 10, 5 and 1 minute left. I was also in charge during the breaks to call out to the staff when we had 10 minutes, 5, 2 and 1-minute left. I found that this incessant focus on time had me stressed. If we were on break, I wasn’t. I was focused on time. In the middle of a conversation, I found my attention wandering from them and to the stopwatch in my hand, even if I had checked it what seemed like 30 seconds ago. I was compulsively checking the stopwatch. I was paralyzed for the last minute as I just sat there staring at the watch as it counted down the last minute so I could call out to the group and relieve a part of the mounting tension of the timely perfection required. I would even contemplate and over analyze, if I had time to use the bathroom and still be back to call out the time for the group. I came to realize that an obsession or extreme focus on anything takes away precious energy because it is running a program in the background like computers running multiple applications take up memory on the computer. In the old days you would have to shut down some of those programs or else your computer would slow down to a point where the computer was unusable. How Do You Know What Your relationship with time is? First, check in on your time management definition. Second, finish this sentence – Time is …. The truth is improving your time management is really understanding your relationship with your results and shifting your current relationship with time. That may seem esoteric, but let it sink in and think about it. Time doesn’t drive our results so we should focus on what does drive results. The drivers might be some of the components from your time management definition and they might be other components you haven’t really thought about. No matter if you are Increasing sales, losing weight, mastering a sport or improving time management, you have to track what’s driving the success. The challenge is time is not a driver of success. Time might be a factor in the manufacturing of products and how efficient the machines are but time is a measure of minutes passing but not a driver in what gets achieved in those minutes. Good time management skills have little to do with time. We are not machines. Machines might reflect time completed but machines don’t do goal setting and align task management. Personal productivity comes from understanding what works and what doesn’t work for you as an individual. One size doesn’t fit all. It isnt about the tools as much as it is about our thinking. If you’re losing weight you’re going to track everything that you eat and drink to create greater awareness, to recognize the gaps, to see what’s working and what’s not working and to take committed action to get the results you desire. After years of working with people to help them grow their businesses while evaluating the fundamentals of their success and good time management skills. I’ve narrowed it down to these 10 fundamentals that drive our success in all facets of life. These fundamentals make up good time management skills and boost your overall prsonal productivity. These fundamentals represent how we show up for the time we have and what we choose to prioritize to get the results we want. It incorporates a way of being, strategies for aligning tasks and actions and reflection that will support sustainability. Motivation: The level of drive, determination, and grit to stay the course in reaching your goals. Goal setting is your directive and your motivation is your commitment meter. When you are fully committed you take ownership and responsibility and overcome obstacles quicker than a partial ownership or worse lack of commitment altogether. Self-Talk: The things you say to yourself that create excuses, makes you a victim, blames other people and limits your potential. This is an underestimated aspect of how you show up for your time and plays the biggest role in why we don’t do what we know. This area creates self-sabotage. Be aware of your self-talk, the questions you ask yourself and others and the words that come from your thinking because your thinking ultimately drives your behavior. Self-Care: Eating, sleeping, drinking water, exercising and taking care of your physical state, energy rejuvenation. Self-care is the first area sacrificed when we get stressed and busy and is actually the most important resource to foster creativity, engagement and connection, driving how we show up for our time. It is essential to our energy management. Focus: Ability to stay on task with goals and objectives. Distractions are abundant in today’s culture and it requires discipline, collaboration and supportive practices and structures to keep our attention focused on the task at hand. Planning: Preparing, scheduling, organizing both short and long-term. Planning is essential to achieving your goals. Things may not go according to plan but you increase your level of flexibility by having thought up front about resources, strategies, timing, and cost. Process: Creating standards, systematizing/automating. Investment in creating standards and defined steps to take will reduce mistakes, make it easier to train others and provide a consistent result. McDonalds was a great demonstration of the value of standardizing processes and using systems to create leverage for the business. In the end, it saves time and money. Prioritize: Identifying the most important actions and aligning tasks and goals. Prioritization is difficult in some cases because people feel like there are too many things that have high priority, everything is urgent. The fact is we are just not making a clear distinction by challenging the priorities or setting up criteria to enable us to make the decision and relieve the stress of multiple priorities. If hospitals can figure it out in the emergency room, so can we in our lives. Progress: Recognizing your successes, learning lessons and applying them. Recognizing progress creates momentum even if you don’t get your desired results you are still making progress when you realize what doesn’t work and can adapt accordingly. The more you check in on what is working and what isn’t working the faster you will reach or exceed your goal. Measurement: Take the time to track success drivers and adapt accordingly. Be aware of lead indicators that drive results and lag indicators which simple measure the result. For example. Revenue is measured after the fact but if you want to influence that number you may want to look at customer loyalty(attrition), conversion rates and so on. If you are looking at weight loss it might be exercise, calories, fats and so on. Proactivity: Identifying and resolving obstacles before they arise. Managing Risk. Innovation. Being proactive keeps you at the peak of your game. Wayne Gretzky the famous Hockey player said his key to being a great player was to skate to where the puck was going not to where it was. That is how we win the game. I have used this with entrepreneurs for over 10 years to gain insight, reflection and create action around gaps in their time management strategies. Most people focus on planning and organization and hit a plateau or are not able to create consistency because they do not incorporate how they manage their energy or take time to track and reflect upon what is working and what is not. People have a tendency to push away responsibility and blame the system or tool, and just accept and tolerate mediocre results. It is easier to blame than to take responsibility and push through the pain of doing what is best in the long run rather than doing what seems easiest in the moment. Breaking down the definition of time management into its components and skill sets helped my clients to clarify and own the gaps in their practices and align their actions with their goals to change their relationship with time and their results. Each of these areas has their own tips and tricks to become better, stronger, faster as it relates to your life, your health, your business your personal productivity and managing your time. Good time mangement skills are born from this perspective. One client, by recognizing his biggest gap in this process was set on a mission that doubled his business. He put a computer in his warehouse to remove the paper handling, errors and extra work the paper created. Inventory was kept up to date and could be better managed. seems obvious but not when you are running your business. You can’t see the blind spots. When he looked at the measurement of the data he had available to him from running his business- we ran trend analyses to see when most purchases were made, who was active and inactive and other key information. From this analysis, we ran targeted campaigns to get old customers back and increase orders by cross-selling. What does this have to do with time management? He was resetting his priorities and focusing his time and energy on what was important for his business. Investing in systems that would make him more efficient and effective in the future in delivery and sales. That is the result of time management. How time management is defined will make a difference in how you approach it and what you focus on. If you believe it is simply a form of organization, you will get more organized but you might not get the results you are looking for because one of the other elements is keeping you from enjoying it, consistently applying it or creating efficiency from it. If you think time management is about accomplishing a task, you will be more task oriented but may miss the bigger picture. Take your thinking that managing your time from task orientation to a bigger picture, a broader perspective than a simple task. Improving your time management is about thinking and acting more strategically. It starts with goal setting and aligns the task and the goal.